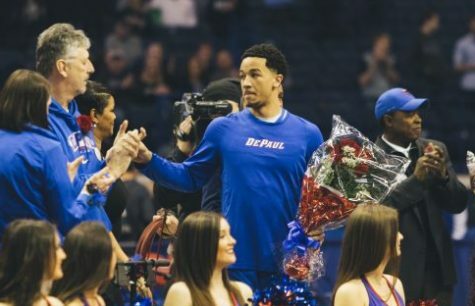 In the first matchup in 60 years between DePaul and Illinois, it was the Illini who used a late second half run to pull away from the Blue Demons for a 82-73 win Friday night at the State Farm Center in Champaign. Turnovers were an issue for the Blue Demons all game as they turned it over 17 times, way more than their season average of seven through the first two games. The Illini weren’t much better turning also turning it over 18 times in what was at times a very choppy game. The Blue Demons also got into major foul trouble with seven Blue Demons picking up two or more fouls in the first half, including three for Marin Maric who led the way with 12 points and four rebounds in the opening 20 minutes. That was all Maric would score after he fouled out with six minutes to go in the game. The first half was physical from the start with the two sides combining for 25 fouls, 16 of those committed by DePaul. The two teams finished with 59 fouls combined. DePaul Head Coach Dave Leitao cited both teams style of play as one of the reasons for the number of fouls. 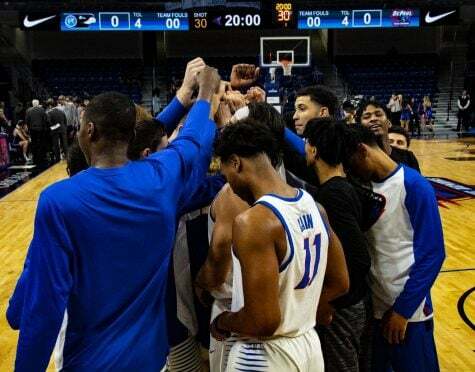 Adding to the foul problems, Kipper Nichols and Eli Cain were also given technical fouls just six minutes in after they exchanged words following an offensive foul by Devin Gage. 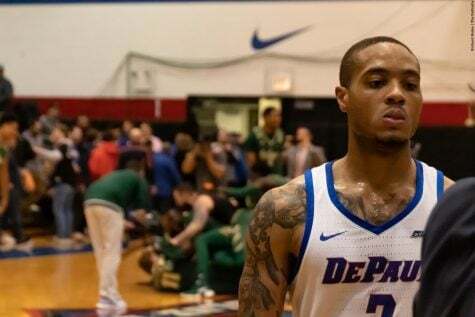 As the Demons were forced to play more zone, the Fighting Illini took advantage going on an 11-4 run to jump out to 29-21 advantage with six of those 11 points coming at the free throw line as DePaul continued to struggle with fouls. 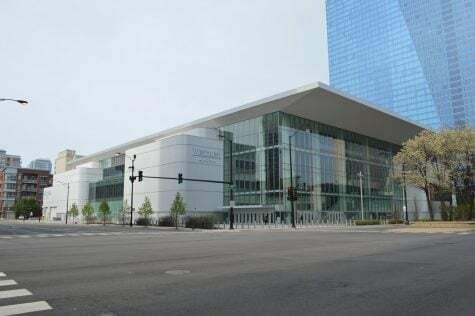 After the game, Illinois Head Coach Brad Underwood noted his team has excelled against the zone and was ready to attack it when DePaul opted to do it at various points in the first and second half. The Illini went into the break with a 39-32 lead led by freshman Mark Smith who 14 first half points. He finished with 21 points. Coach Leitao was impressed with Smith’s in what was an emotional game for both teams. 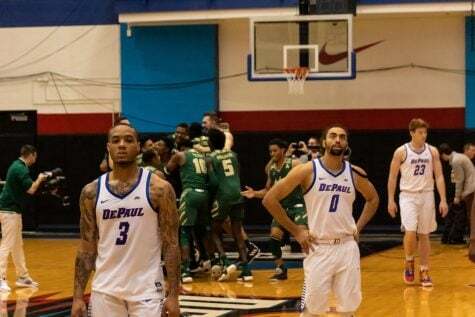 It was a quiet first half for DePaul’s top three scorers Max Strus, Eli Cain and Tre’Darius McCallum who combined for just four points with all three picking up their second foul midway through the first half. 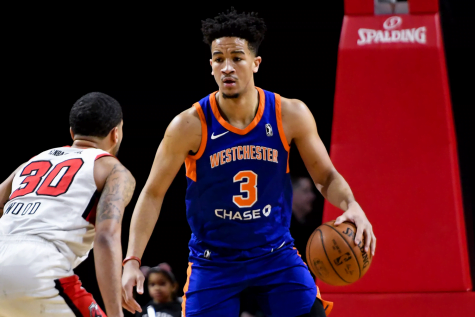 Strus got into more of a rhythm in second half with 15 points, while Cain was limited to eight and McCallum was held scoreless. 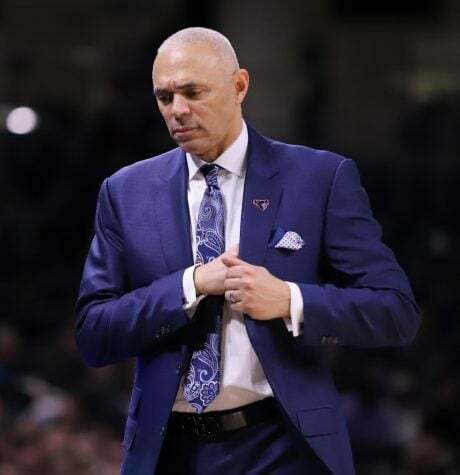 Coach Leitao did not believe foul trouble disrupted the rhythm for either Cain and McCallum, nor was he concerned with their point outputs, pointing the importance of making plays without the ball, but also noted early in the season there is a feeling out process regarding when to leave players in with two fouls. 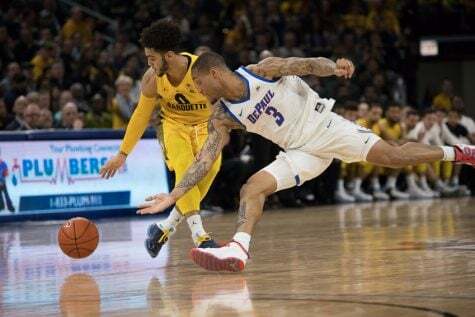 Devin Gage was injured just 30 seconds into the second half after he appeared to land on the foot of an Illinois defender and did not return. After Gage left the game, it was freshman Justin Roberts who led the Blue Demons back with a couple quick layups to pull the visitors within two at 49-47 with just over 13 minutes to play. Roberts’ speed continued to be a problem for the Illini as he finished with 19 points including 12 in the second half. Roberts attributed tonight’s performance to just being ready when your number is called. Illinois responded with a 9-2 run of their own however taking advantage of more Blue Demon turnovers and fouls to open up a 58-49 lead with just over 11 minutes to play. 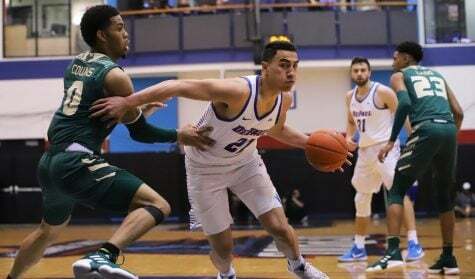 Despite continuing to struggle offensively shooting just 32 percent and with fouls, the Blue Demons continued to hang around due to Illinois’ foul trouble in the second half where they committed 18 fouls. The Illini finally pulled away for good with an 11-3 run after two Cain free throws closed the gap to three at 64-61.